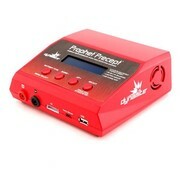 The Prophet™ Precept™ charger is the charging solution for just about any hobbyist. This affordable, durable and full AC/DC powered charger can be utilized for surface, air and marine RC charging purposes. 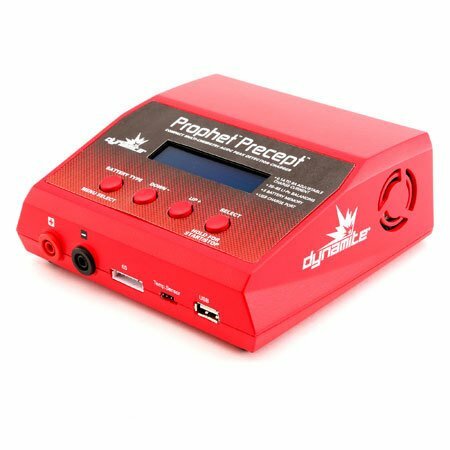 With the ability to handle all popular hobby battery types, including Li-PI/Li-Fe, Ni-MH/Ni-Cd, and Lead Acid, along with a range of selectable currents, the Prophet Precept is an asset to any hobby layout. All of this is backed by a Dynamite 5-year warranty.